Is There a Way to Recover Data from a Non-Working Device? As mobile device usage has outpaced traditional desktop and laptop usage, people are relying upon these types of devices to do more and more. With the increase in usage, so too, is the types of data being stored on mobile devices from music, pictures, and videos to documents and other file types. Just like computers, mobile devices can and do fail making it difficult to recover data from non-working smartphones and tablets. Even with the ability to backup data to the Cloud, many people often do not think about doing this, unless they are upgrading their device to the latest model. An unfortunate accident occurs, and the device is damaged, making it difficult to recover your data, like the device gets dropped into the toilet, or one of your children steps on it because you forgot and left it sitting on the floor. In addition, if you have teenagers, they are extremely rough on their mobile devices, often breaking them accidently because they are not careful and then complain they lost large chunks of data. Since the device no longer turns on, it is easy to assume the data is simply gone for good. However, that may not necessarily be the case. Fortunately there are data recovery services in Toronto you can use to help retrieve the data off of non-working mobile devices. Rather than having to rely upon an outdated Cloud backup and lose pictures, videos, files, and other data, the recovery service is able to use special processes to attempt a data recovery. In cases where the date was on a removed micro-SD card, and the card was damaged, there is a possibility the data can be recovered, too. It is important to keep in mind, no data recovery process can be truly guaranteed and there is still a possibility the data could be gone for good, unless you have it backed up on the Cloud or some other storage device. While you might be thinking, if there is still a chance the data cannot be recovered, then why take the time to attempt data recovery? The reason to attempt data recovery through a qualified and experienced Toronto data recovery company is because it does not cost a thing if the company is unable to recover your data. In other words, you have nothing to lose to attempt to get your valuable data recovered and restored. Imagine what a relief it would be if your data is recoverable and you do not lose months or years of pictures, files, and other data? Doesn’t My Accidental Replacement Device Insurance Coverage Include Data Recovery? You would be surprised by how many people believe their accidental replacement device insurance covers data recovery services. In most cases, these plans do not and only cover the costs to replace the device with a new one. What typically occurs, is someone submits a claim to get a new device, turns in their old one, and receives the new one. The person is often surprised to learn, after getting the new device, their coverage did not include data recovery and now all of the data is gone. Before you submit a claim to get your device replaced under a replacement coverage plan, make sure to contact a data recovery service first. In most cases, it does not take that long to attempt a recovery. 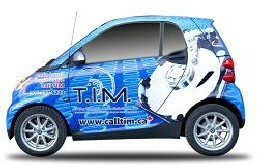 If you are in the GTA, onsite data recovery may be offered, where the service company comes to you. If you have a non-working mobile device, computer, or external storage device with data you need recovered, do not hesitate to contact Taking It Mobile today by calling 1-888-CALL-TIM (1-888-225-5846).